Scythe presents Rev.B editions of its Mugen 3, Mugen 3 PCGH, and Ninja 3 processor coolers. These new revisions add the necessary mounting tools for Intel's new LGA2011 platform. All three Scythe CPU Coolers are utilizing the 4th version of Scythe's Flip Mount Super Back-Plate (F.M.S.B.) allowing firm mounting for current sockets. Mainboards which are using the Socket R (LGA2011) are already equipped with a pre-installed backplate and do not require the Scythe Flip Mount Super Back-Plate. In this case a convenient and easy mounting is accomplished by attaching four screws directly to the socket which are then fixed using a small wrench. Required screws as well as wrench are part of the accessory supplied with Scythe's Rev. 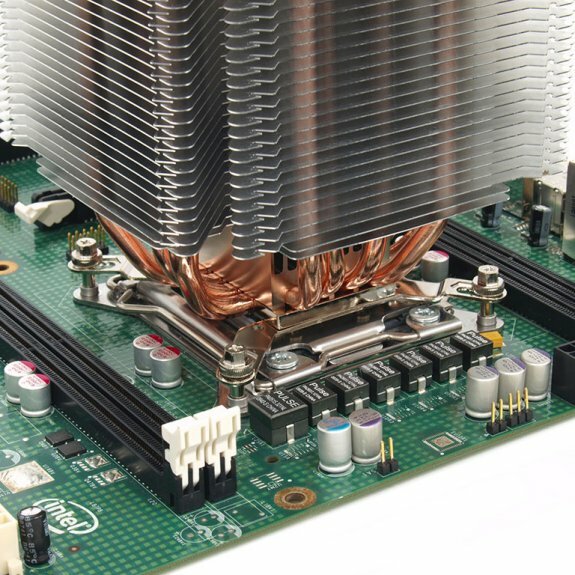 B CPU Coolers. Even though brand-new sockets are added to the compatibility list, prior sockets are still supported. Scythe is trying to keep the tradition of supporting prior sockets such as socket LGA775 and AM2 even for the new Rev. B CPU Coolers. New Scythe Revision B CPU Coolers will be available and shipped starting next week.